LEADING independent vehicle importer Performax International has taken a major step in its development, opening a new sales, service and parts headquarters for its American pick-up range and Queensland's first dealership for HAVAL SUVs. Built on a greenfield site at North Lakes, a fast-growing new suburb on Brisbane's northern outskirts, Performax North Lakes represents the biggest investment in the company's 26-year history. The facility was officially opened on Friday night by Performax International founders and directors Greg Waters and Brian Learoyd, with special guests including HAVAL Motors Australia Managing Director Parker Shi. While Performax Chevy, GMC, Ford and Toyota pick-ups will continue to be built at the company's Gympie factory, Performax North Lakes has become the hub of a national network of 16 authorised Performax International dealers. Sharing the site, Performax HAVAL will give Queensland motorists their first opportunity to experience China's biggest-selling SUV brand. 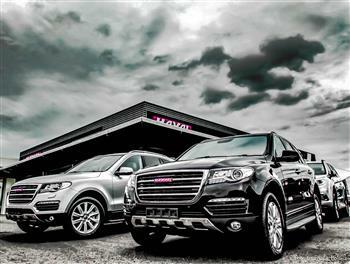 The HAVAL H2, H8 and H9 models are already on display. Performax International General Manager Glenn Soper said the North Lakes facility was evidence of the company's strong growth in recent years into a manufacturer with government full-volume compliance approval and world-class standards of engineering and finish quality. "Our business growth and expertise in engineering, sales and customer service have equipped us to also take on the prestigious role as Haval's first Queensland dealer," Mr Soper said. "The HAVAL H2, H8 and H9 are highly-impressive SUVs – good looking, capable, well-built, generously equipped and excellent value for money. They're the ideal product for the market in which we're situated and I predict they'll be extremely popular." Performax International started business in 1989 as Corvette Queensland, a partnership between Mr Waters and Mr Learoyd initially intended to provide each of them with their own Chevy Corvette sports cars. With 100 employees, production is expected to reach around 400 vehicles this calendar year. Performax North Lakes is located at 1 Burke Crescent, North Lakes. Performax International has taken a major step in its development, opening a new sales, service and parts headquarters for its American pick-up range and Queensland's first dealership for HAVAL SUVs in North Lakes, a fast-growing new suburb on Brisbane's northern outskirts.